As assistant dean, he will oversee the college’s campus safety, parking, transportation, and wellness initiatives. Before joining Daemen, Mead-Colegrove was director of orientation and new student programs at SUNY Buffalo State. Prior to this, he served as associate director of campus life at SUNY Fredonia, and held residence life positions at Michigan State University and West Virginia University. 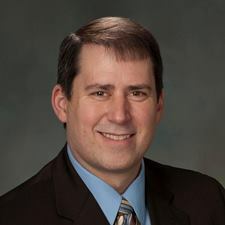 Mead-Colegrove, president and principal consultant of BMCSpeaks, is a member of the Brocton Central School District Board of Education and the FBI Buffalo Citizens Academy Alumni Association. He holds a master’s degree in college counseling and student personnel from the University at Buffalo and a bachelor’s degree in mathematics education from SUNY Fredonia. He is a resident of Brocton.